The Tales of Deputy Guppy is a very fun, short-form audio drama geared for younger listeners. The show is a twist on a western radio drama in that it takes place underwater and all the characters are fish. It is produced by Saturday Morning Media and is available as a free download from their website or via a podcast feed. This audio drama follows the escapades of Deputy Guppy, who is the lawman (er, lawfish) of the town of Driftwood Gulch, and his trusty seahorse, Cactus. Along the way, they are joined by the deputy's pal, Ringo, and the charming Miss Tunabelle Grub. The gang faces rustlers and outlaws in their quest for law and order in the wild rivers of the old west. The sound effects, music and acting are all done extremely well. The scripts are fun, action-packed and full of humorous moments including lots of puns and wordplay. 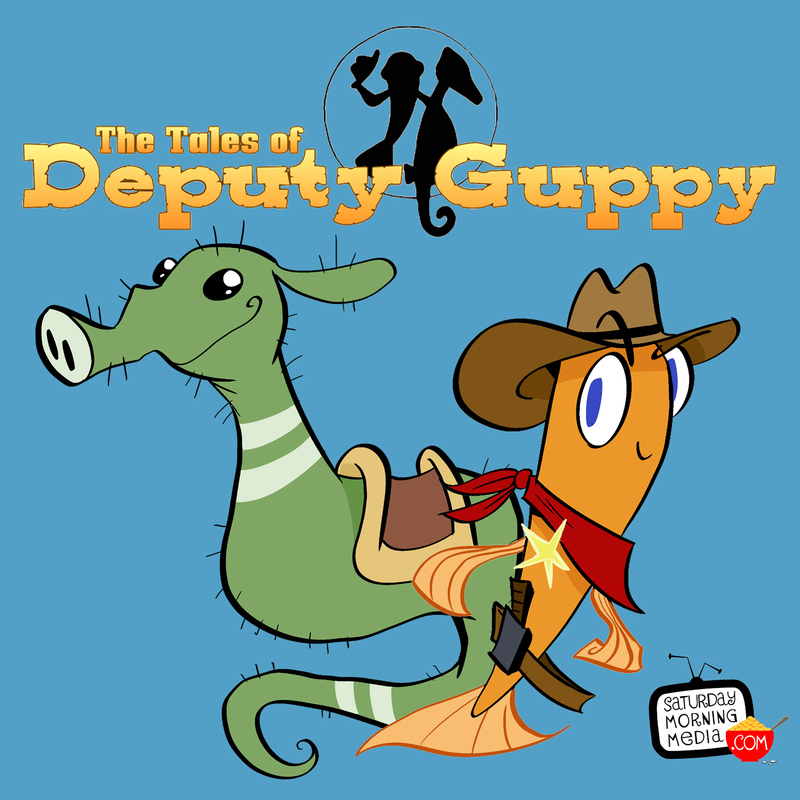 Overall, The Tales of Deputy Guppy is a great, quality show and, given the fact that it's free, it's also a fabulous value! In addition to the audio episodes, the creators have also put together paper cutouts of characters and places in the town of Driftwood Gulch which can be assembled into a playset for the children. A child can play along with the story as he or she listens to the audio drama. These are also made available at no cost and can be downloaded from the website. 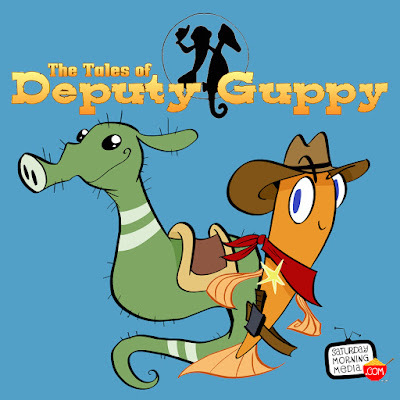 The Tales of Deputy Guppy is a great show that younger children will enjoy. And maybe even the parents will too! And with episodes averaging somewhere around 8 minutes, it's really easy to fit them into your day. Check it out at the links below for both the audio episodes and the PDF files for the paper playset. NOTE: There are a few instances of the use of mild euphemisms in this series so parents if you'd rather not have your little ones hear that then you may want to pass on this or preview the shows first.